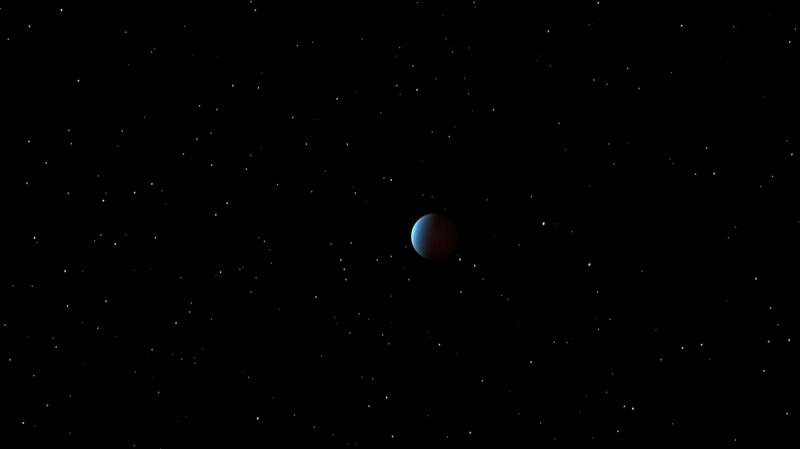 NASA's Spitzer Space Telescope has, for the first time, captured the light emanating from a distant super Earth, a planet more massive than Earth but lighter than Neptune. Super Earths can be either rocky or gaseous. In this case, theorists propose that the planet, called 55 Cancri e, has a rocky core surrounded by a layer of water in a "supercritical" state, where it is both liquid and gas. Topping it all off is thought to be a blanket of steam. It's as if Neptune were somehow dragged closer to the sun and stripped of its large atmosphere. This artist's animation depicts 55 Cancri e as it orbits its star. The planet whips around the star closely and quickly: It is 25 times closer to the star than Mercury is to our sun and completes one orbit -- its year -- in a mere 18 hours. 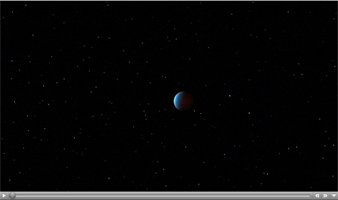 The view starts off showing the system in visible light then switches to show how Spitzer saw it in infrared light. 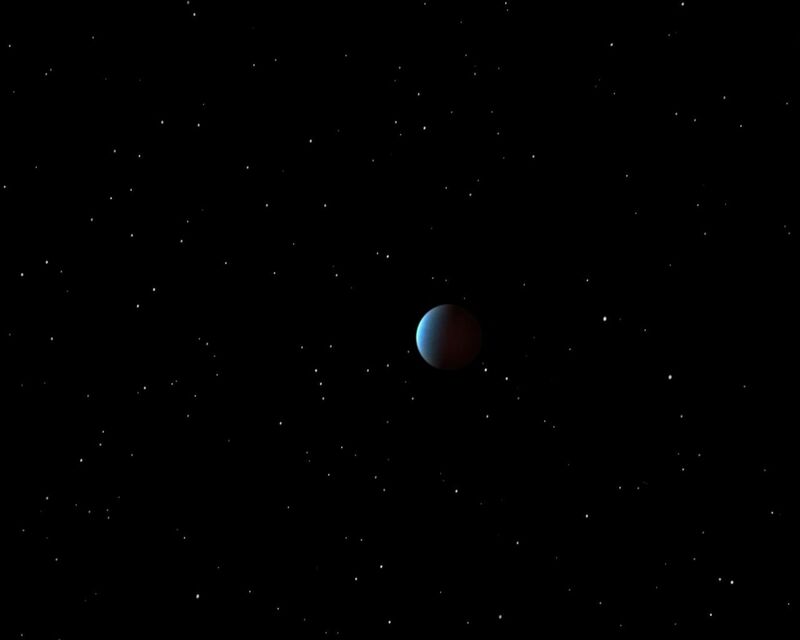 In infrared, the planet stands out more relative to its star -- it is brighter when viewed in infrared light and the star is dimmer. This is partly because the planet's sizzling heat causes it to glow brightly at infrared wavelengths. 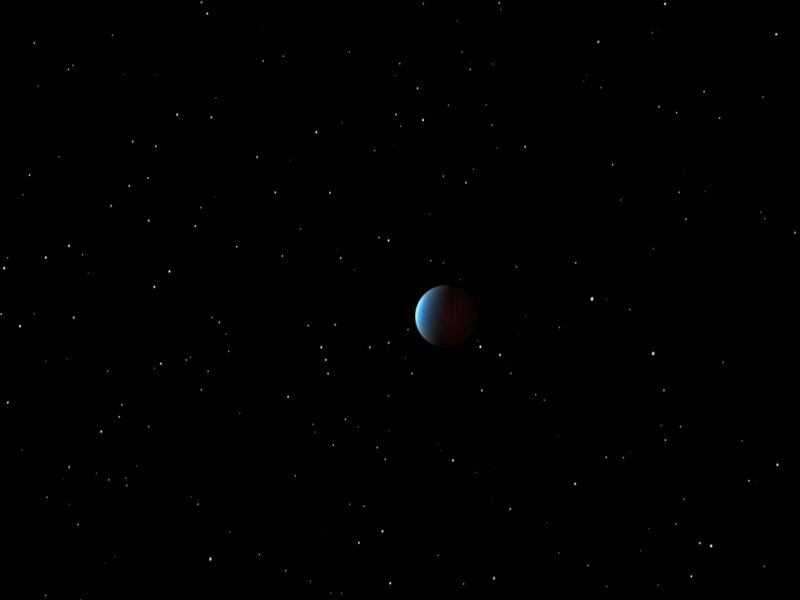 The planet is too close to its star to be seen separately on the sky, so Spitzer used a specialized trick to see its light. As the planet slipped behind the star in what is called an occultation, the infrared telescope observed how much the total light from the system dropped. The data are shown on a graph that appears in front of the star system. By measuring the amount of total light before, during and after this drop, astronomers can then calculate how much light is coming directly from the planet itself. The information revealed that the planet's sun-facing side is more than a scorching 2,000 kelvins (3,140 degrees Fahrenheit), or hot enough to melt steel. The data also indicated that the planet does not reflect much visible light; in other words, it is very dark. The observations are an important milestone in the search for life in the universe. NASA's upcoming James Webb Space Telescope will use a similar technique to probe the atmospheres of even smaller, potentially habitable planets for signs of life. For more information about Spitzer, visit: http://www.nasa.gov/spitzer and http://spitzer.caltech.edu.